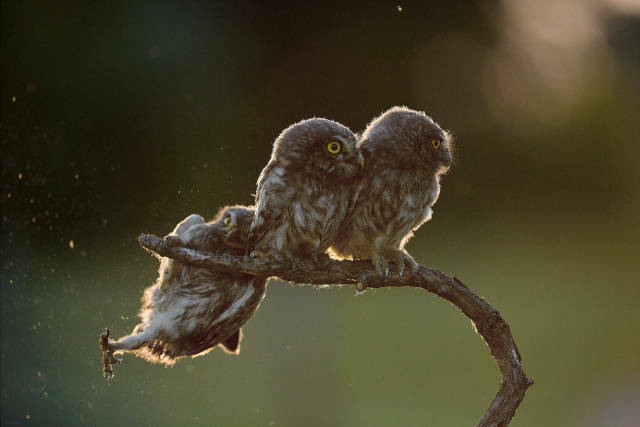 OVERALL WINNER 2017: An owl struggles to keep his grip as his owl friends look the other way in Opusztaszer, Hungary. 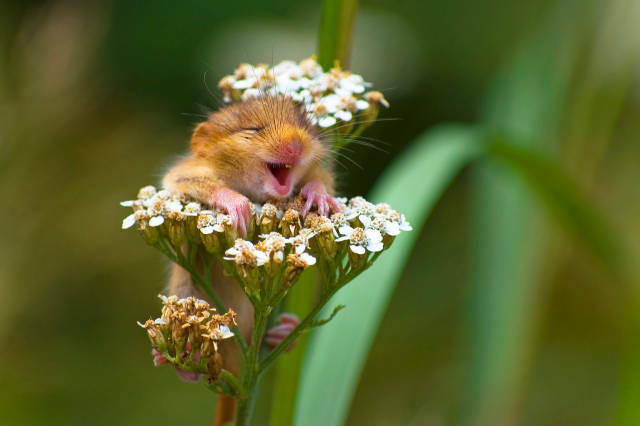 Alex Walker's Serian on the Land Winner: A baby dormouse seemingly laughs on a yarrow flower in Monticelli Brusati, Italy. 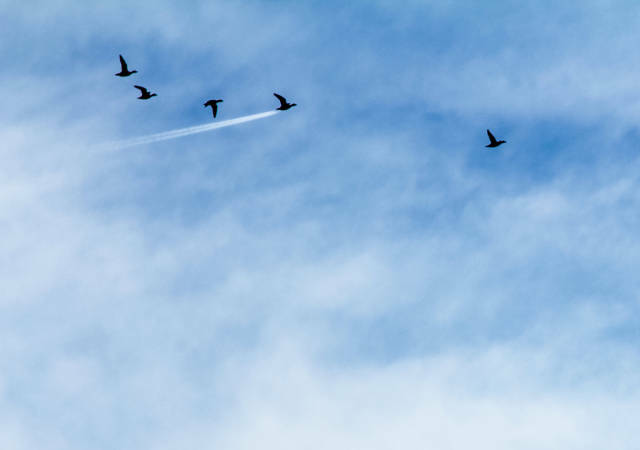 Kenya Airways in the Air Winner: Widgeon flying in Preston, England. 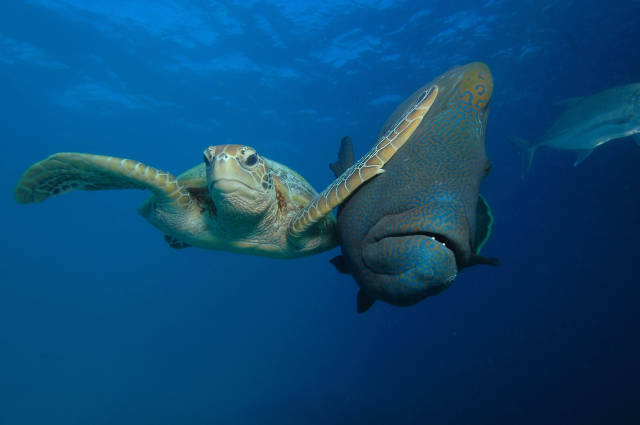 Padi Under the Sea Winner: A green turtle vs a Napoleon maori wrasse in Queensland, Australia. 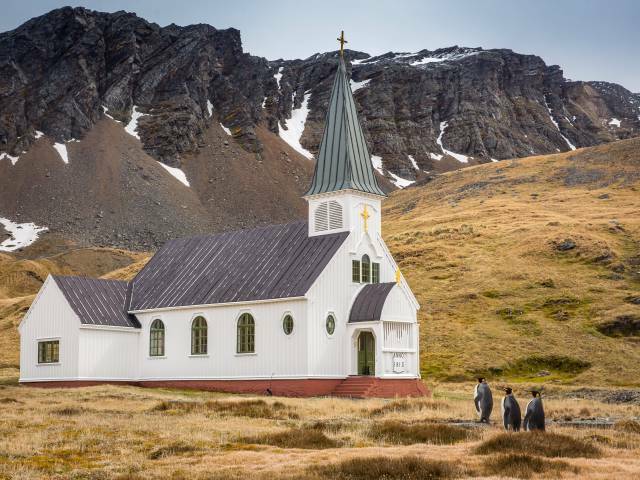 Highly Commended: Three king penguins approach the only church on South Georgia Island appearing to be headed for services in Grytviken, South Georgia Island. 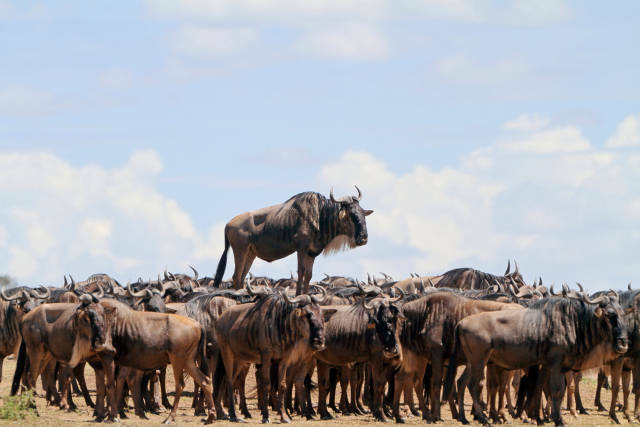 Highly Commended: A blue wildebeest stands on a mound in Masai Mara, Kenya. 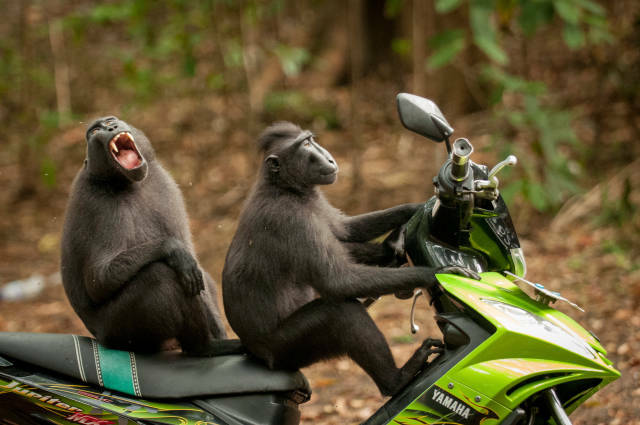 Highly Commended: Two monkeys test-drive a motorbike at Tangkoko Batuangus Nature Reserve, Indonesia. 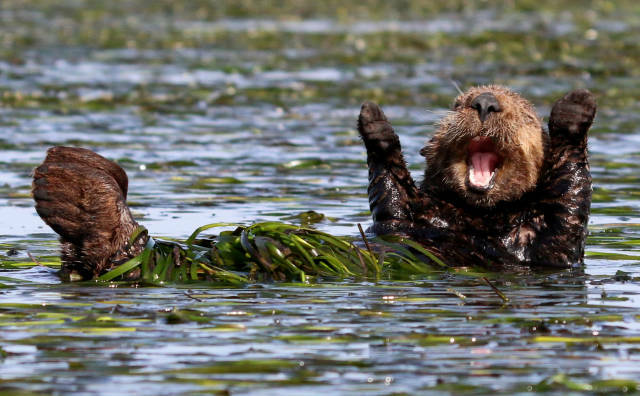 Highly Commended: A sea otter cheers after sleep in Elkhorn Slough, California. 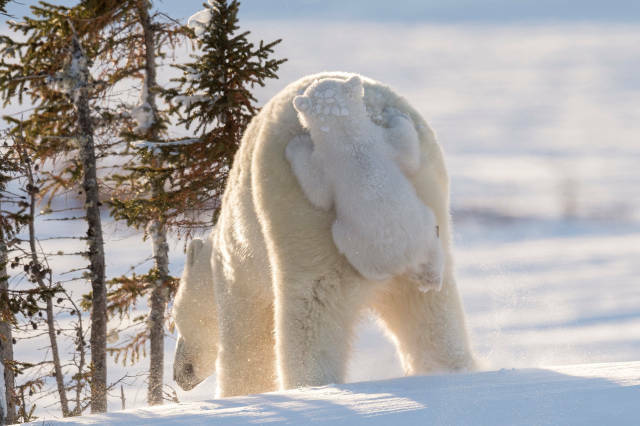 Highly Commended: A polar bear mother with a cub hitching a ride in Wapusk National Park in Manitoba, Canada. 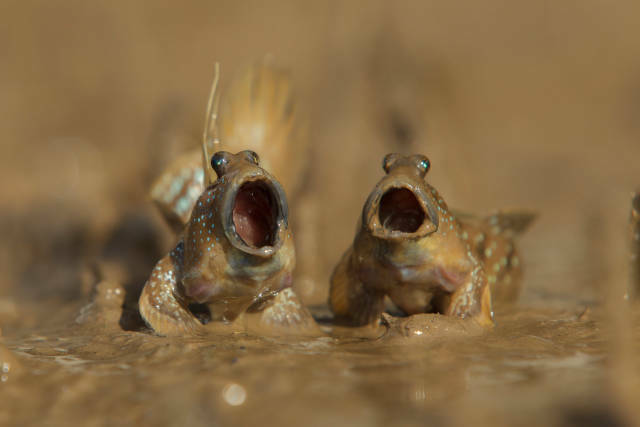 Highly Commended: Two mudskippers sing their hearts out on tidal mudflats in Krabi, Thailand. 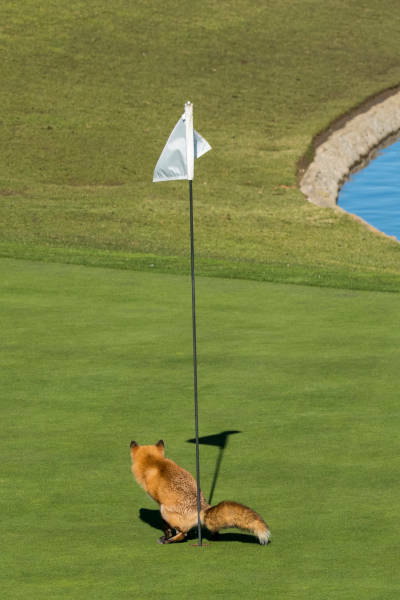 Highly Commended: A red fox surveys his shot in San Jose, California. 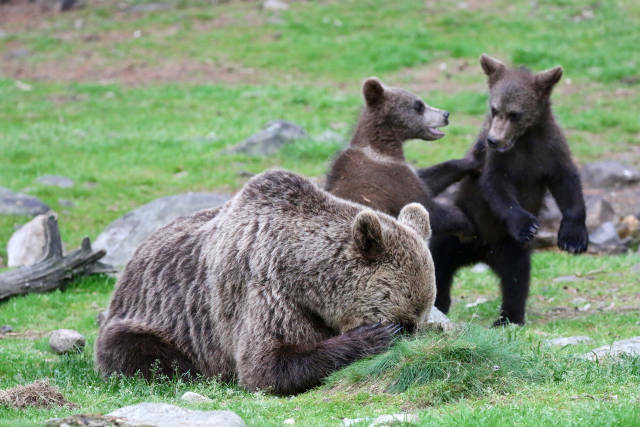 Highly Commended: Eurasian brown bears in the middle of a quick tryst in Harghita County, Romania. 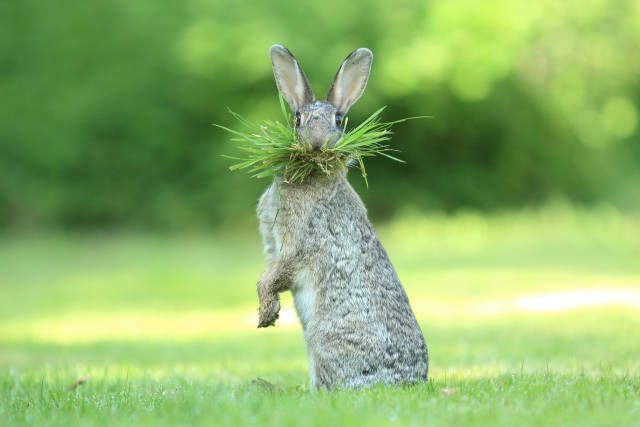 Highly Commended: A wild rabbit collects nesting material in Belgium Flanders, Bredene, Belgium. 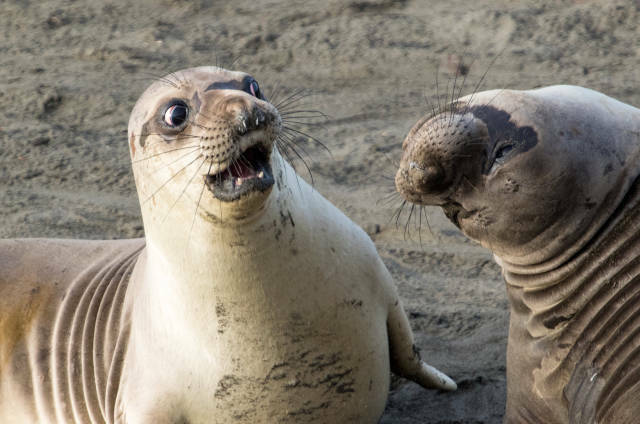 Finalist: Highly Commended: A young elephant seals looks shocked at his friend's revelation in San Simeon, California. 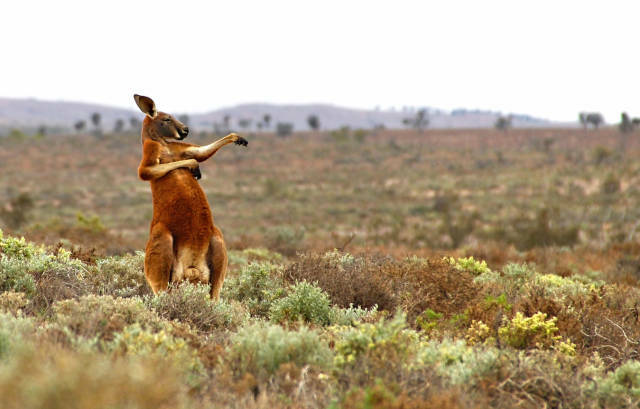 Finalist: A red kangaroo starts his day with some martial arts in Fowlers Gap, Australia. 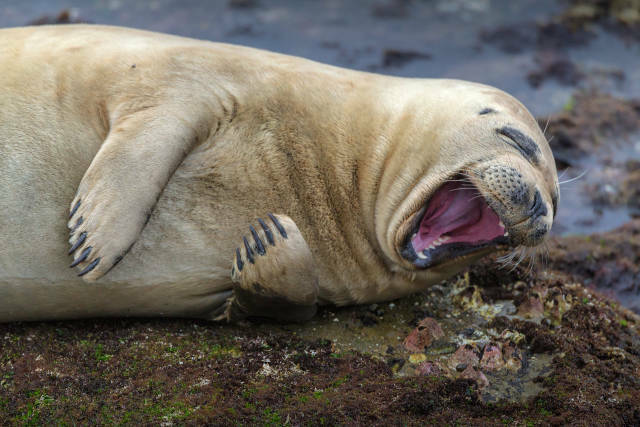 Finalist: A harbor seal looks to be getting a good laugh about something in San Diego, California. 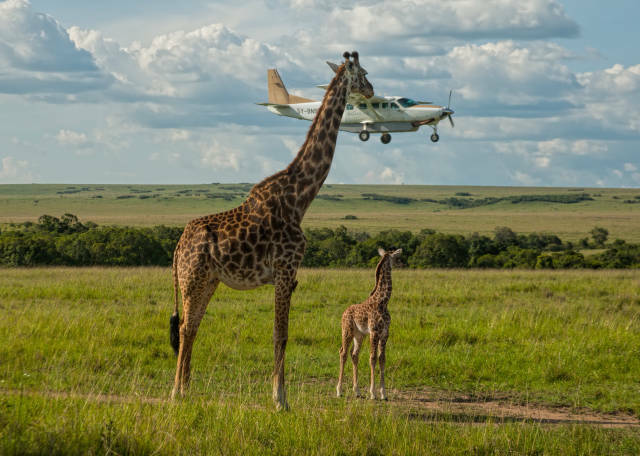 Finalist: A giraffe checks plane safety in Masai Mara, Kenya. 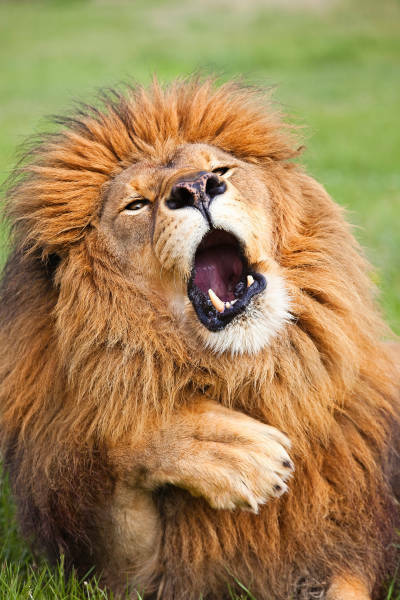 Finalist: A lion does his best Carry On impression in Tanzania. 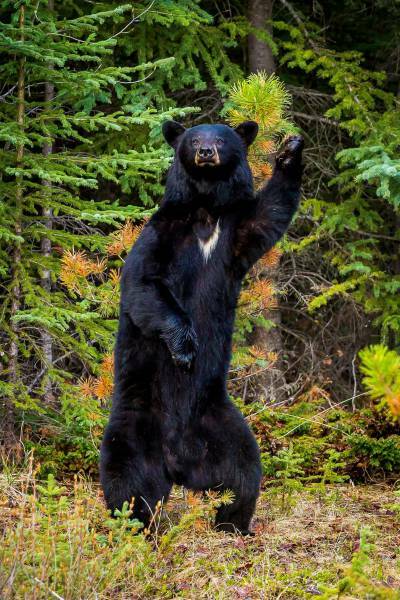 Finalist: An American black bear reaches back to rub his back against a small tree in Redwood Meadows, Jasper National Park, Alberta, Canada. 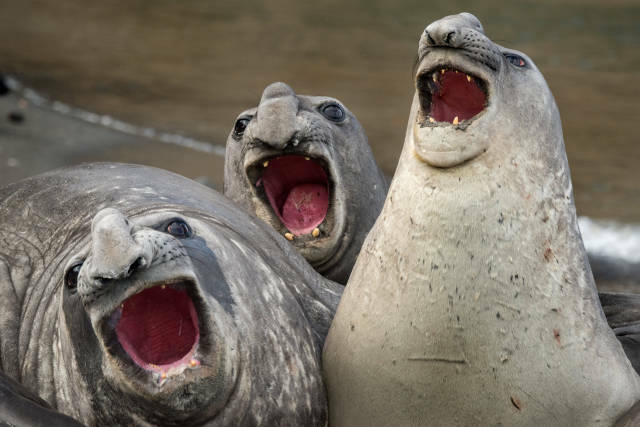 Finalist: Three elephant seals put on a show in South Georgia Island. 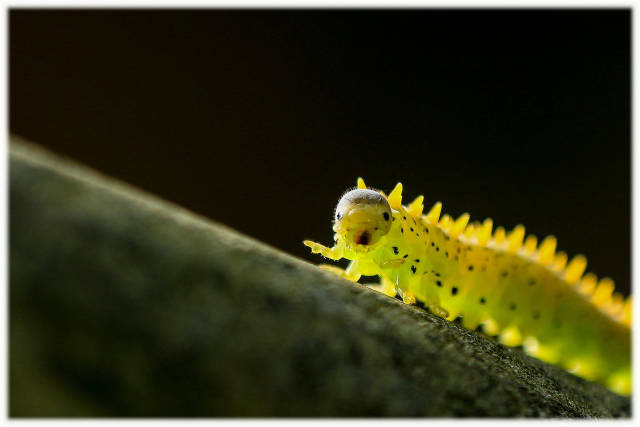 Finalist: A confused worm is pictured in Hong Kong, China. 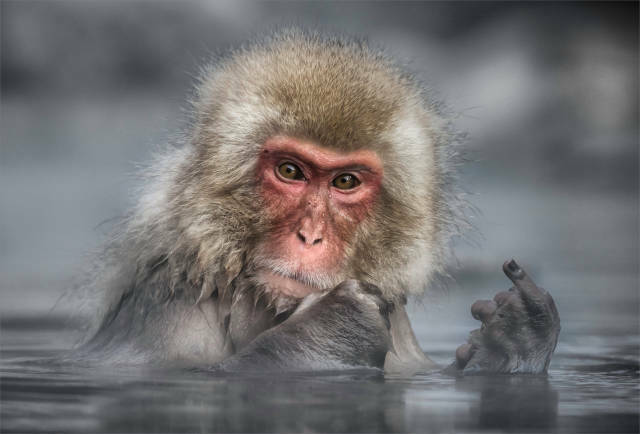 Finalist: A Japanese Macaque, or snow monkey, gives some attitude at Jigokundani Monkey Park near Nakano, Japan. 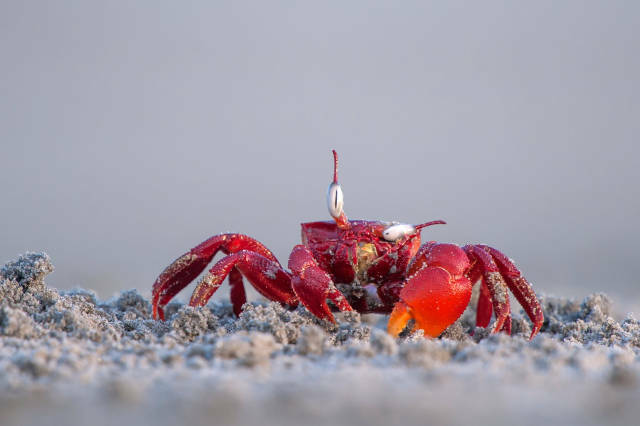 Finalist: A red ghost crab adjusts and cleans one of its eyes at the Frazergunj Beach in West Bengal, India. 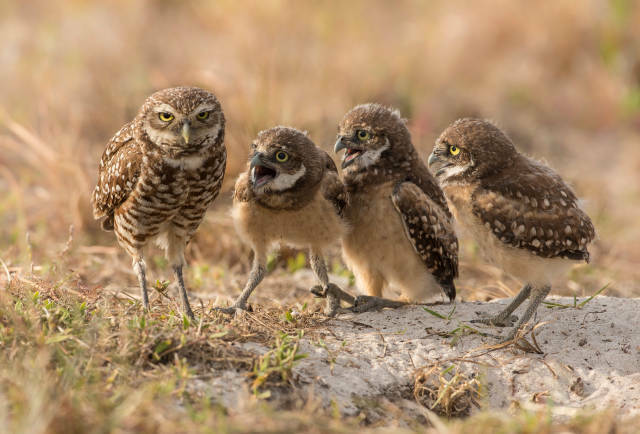 Finalist: A female burrowing owl looks exhausted as four of her owlets vie for her attention in Florida. 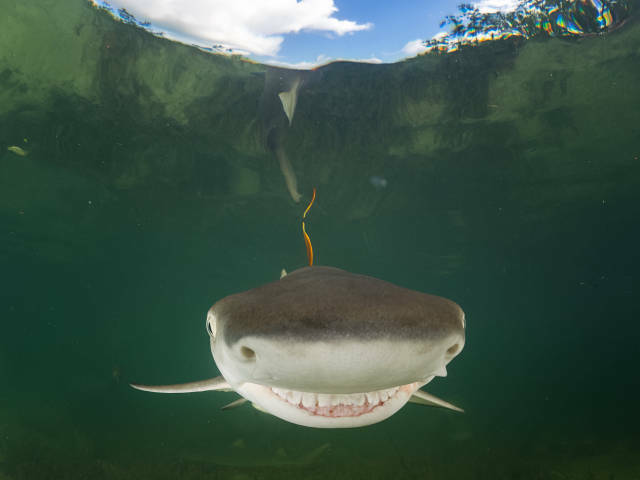 Finalist: A baby lemon shark shows a big smile in Bimini, the Bahamas. 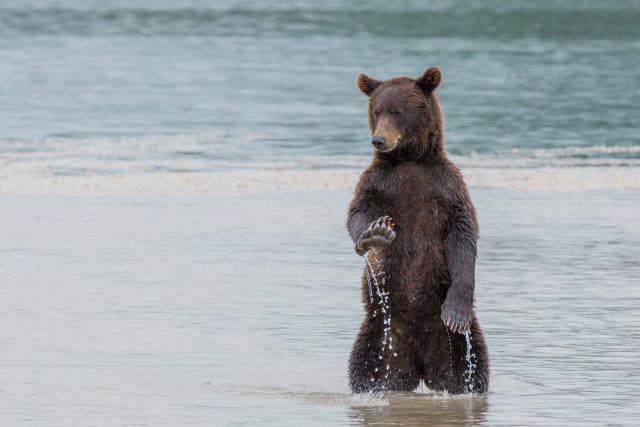 Finalist: A Kamchatka brown bear is pictured in Kamchatka Peninsula, Russia. 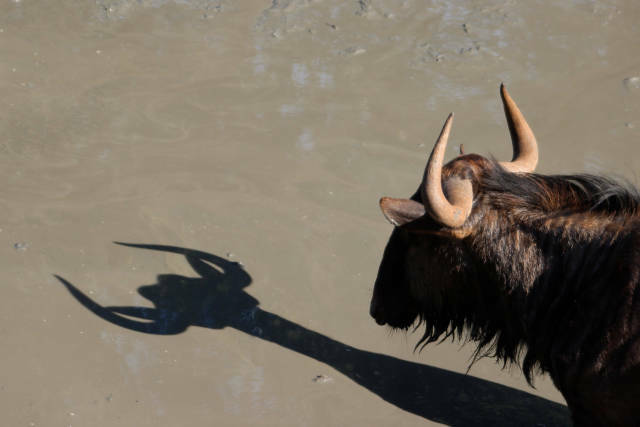 Finalist: A gnu examines its perplexing shadow at the watering hole at the hide in Mkhuze Park, South Africa. 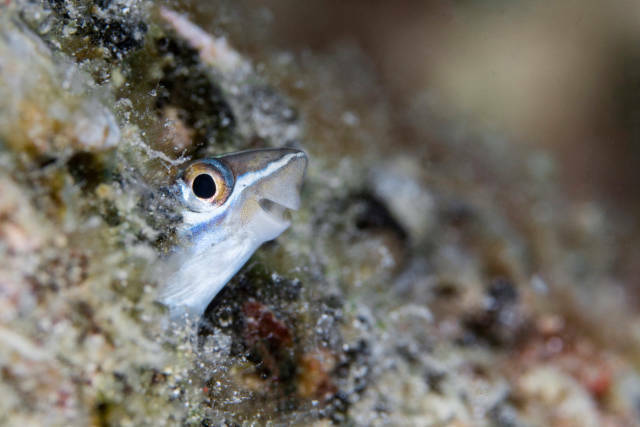 Finalist: A fish smiles to the camera in Sipadan, Malaysia. 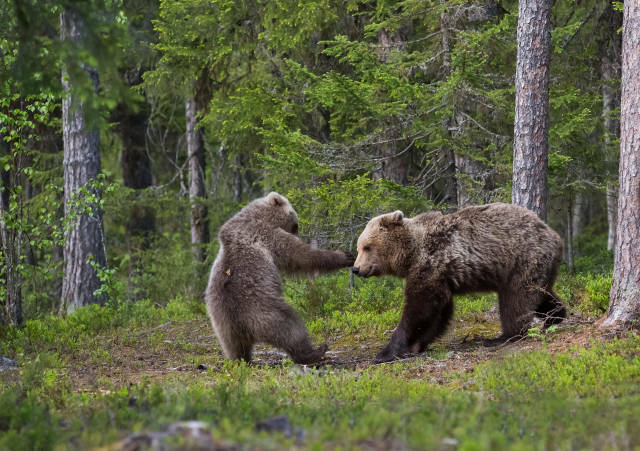 Finalist: A mother bear and cub play in Suomussalmi, Finland. 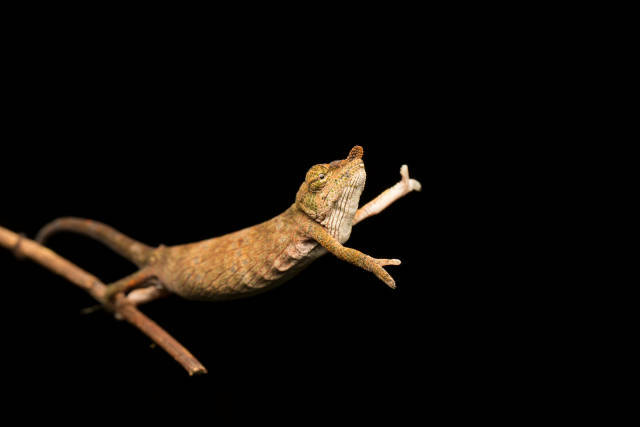 Finalist: A nose-horned chameleon dances on the end of a branch in Andasibe, Madagascar. 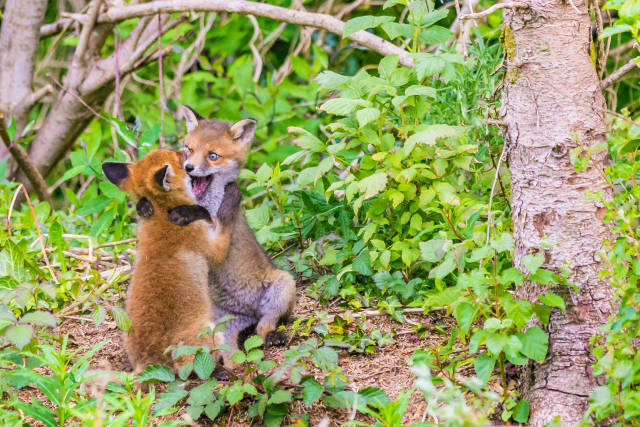 Finalist: Fox cubs pictured playing in County Meath, Ireland. 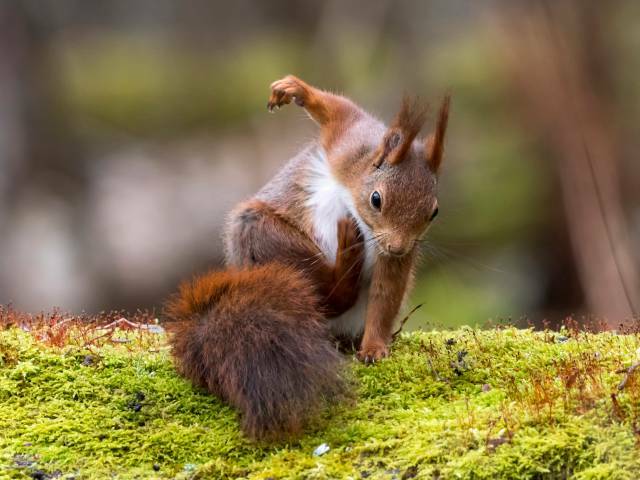 Finalist: A squirrel scratches himself in Gothenburg, Sweden. 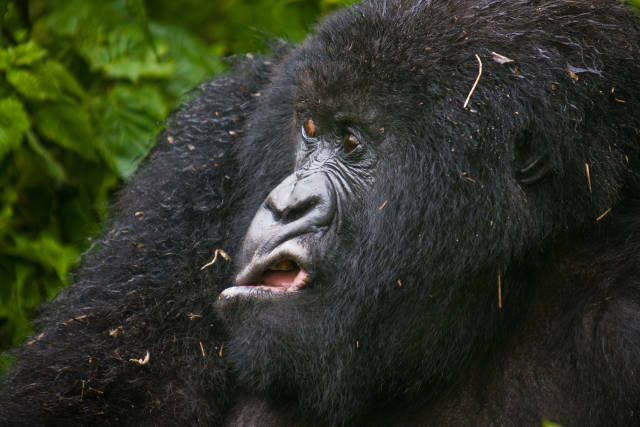 Finalist: A gorilla grimaces as he emerges from a bush in Virunga National Park, Rwanda. Finalist: A mother brown bear just wants some peace and quiet in Martinselkonen, Finland. 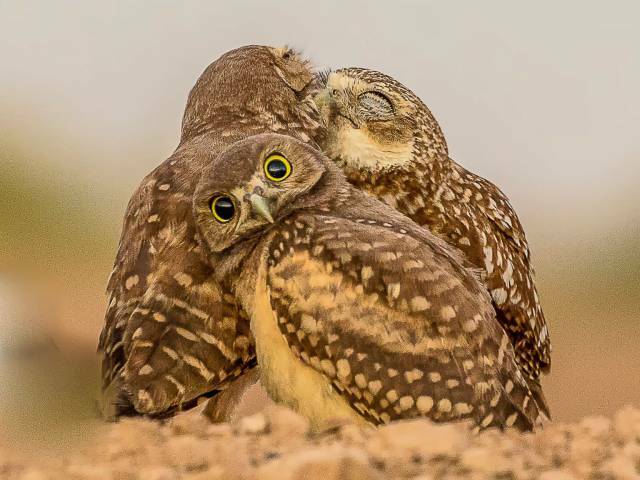 Finalist: A burrowing owlet is embarrassed by kissing behind him in Salton Sea, California. 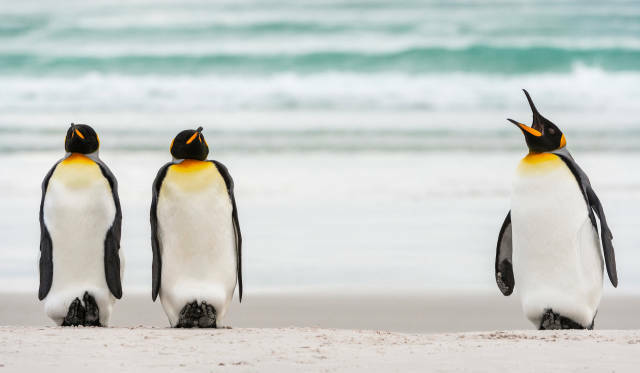 Finalist: Two king penguins standing firm while another seems to be giving them orders in the Falkland Islands. 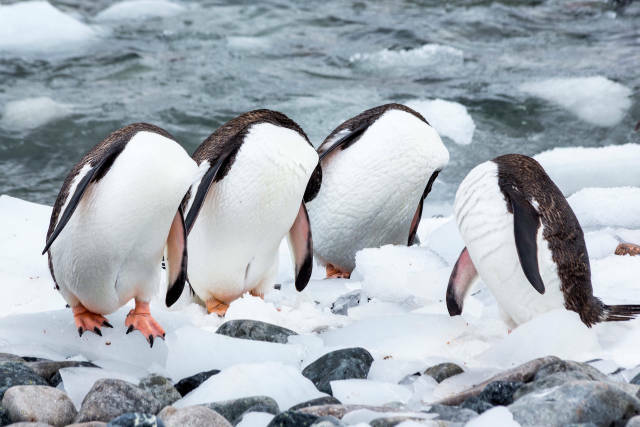 Finalist: A large breeding colony of Gentoo penguins on Culverville Island, Antarctica. 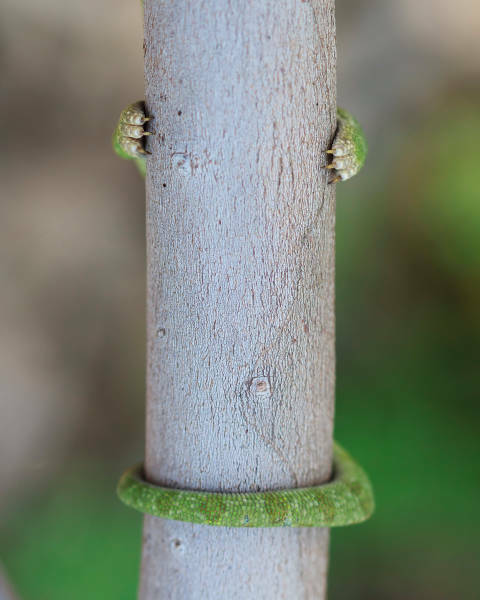 Finalist: A tiny chameleon doesn't quite understand how its camouflage mechanism is supposed to work in Ramat-Gan, Israel. 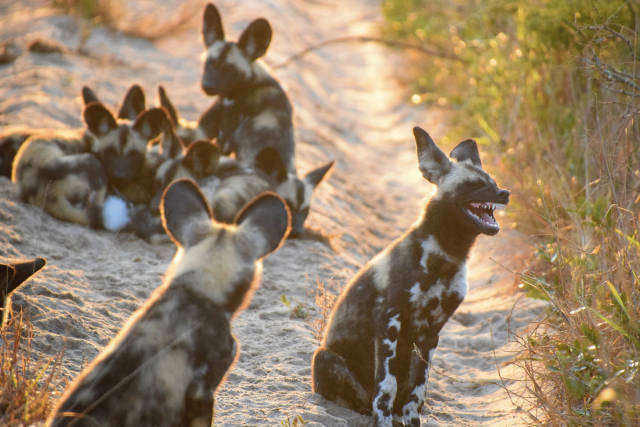 Finalist: African wild dogs enjoying a good joke at Tembe Elephant Park, South Africa. 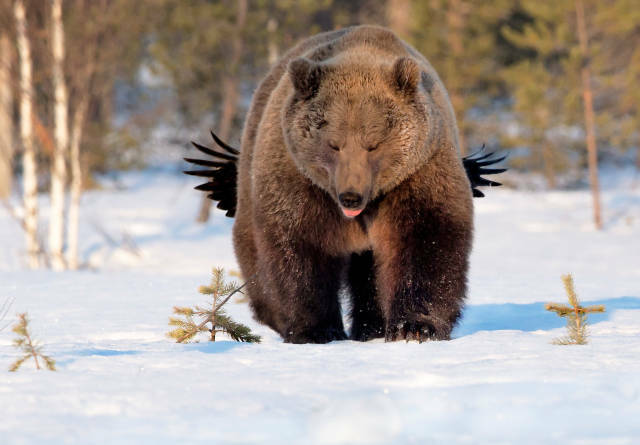 Finalist: A raven teases a bear in Kuhmo, Finland.